Here are the answers to the Smallville 5 Challenge #1. Haven't played yet? Go HERE. Look at this post only if you're ready to see the answers!! A small disclaimer: I did this by myself, without a beta, and I'm not infallible, so if you disagree with any of my answers, please let me know in the comments! Thank you! 1) "I plan on being great all by myself." Lex to Victoria Hardwick, in Episode 1.12 - Leech. 2) "And I want a ponytail. Disappointment abounds." Lex to Bart Allen, in Episode 6.11 - Justice. 3) "There's no gray area with you, is there? It's either all good, or all evil. Did you ever try to see my humanity before you decided I had none?" Lex to Clark, in Episode 6.19 - Nemesis. 4) "Think about it, Clark. My intellect, your powers? Together we could rule this world! We'll walk as gods among men." Lex to Clark, in Episode 4.17 - Onyx. 5) "Trust me, Clark. Our friendship is going to be the stuff of legend." Lex to Clark, in Episode 1.11 - Hug. 1) What was Martha Kent's maiden name? 2) In what episode of Smallville did we first see Metropolis? 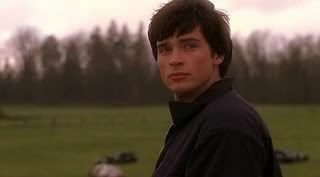 3) What number did Clark wear on his jersey when he played football for the Smallville High Crows? The short answer is the number 8. The long answer is this: In Episode 1.01 - Pilot, Clark wore number 7 when he daydreamed that he was on the team. In Episode 1.03 - Hothead, he wore number 89 on his practice jersey, and number 32 on his game jersey, but he never actually played in a game. In Season 4, Clark wore number 7 on his practice jersey, and number 8 on his game jersey. We only ever saw him play in a game in two episodes, 4.04 - Devoted, and 4.07 - Jinx. 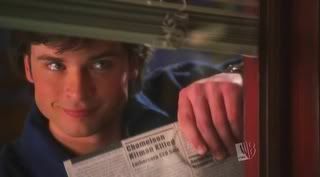 4) We have seen five different kinds of kryptonite on Smallville. Can you name them, and describe how each one affects Clark? a) Green kryptonite: Toxic to Clark, lethal in large amounts or if contact is prolonged. Turns clear when neutralized, as Lana's necklace was by Clark's ship. c) Black kryptonite: Created by heating green kryptonite to extreme temperature. Splits an individual into two separate beings, one good and one evil, and can also recombine them. d) Silver kryptonite: Causes Clark to have paranoid delusions, with violent tendencies. e) Blue kryptonite: Suppresses Clark's super powers. 5) There have been five Chlark kisses over the course of the series. Can you name the episodes in which they occurred, and describe the circumstances that led to each one? a) Episode 1.11 - Hug: Kyle Tippet proves his powers of persuasion to Chloe and Clark. b) Episode 2.14 - Rush: Chloe is under the influence of a parasite from the Kawatche caves, and Clark is under the influence of red kryptonite. Serious macking ensues (no pun intended). They actually indulge in two protracted make-out sessions in this episode, one in the back seat of Pete's car, pictured here, and the other in the Talon. 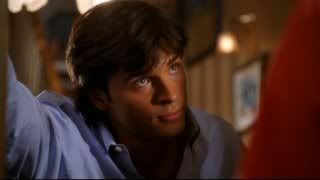 c) Episode 3.07 - Magnetic: Upon being discovered in the medical records room at Smallville Medical Center, Chloe kisses Clark to make it appear they ducked into the room to make out, rather than to rifle through confidential medical files. d) Episode 4.04 - Devoted: Chloe is under the influence of a sports drink laced with green kryptonite, which acts as an aphrodisiac. e) Episode 5.22 - Vessel: As Clark leaves the Daily Planet to attempt to stop Zod and save the world, Chloe realizes she may never see him again, and they share a passionate embrace. 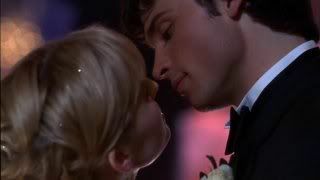 Episode 1.21 - Tempest: Clark and Chloe almost kiss while dancing at the Spring Formal, but are interrupted by the announcement that a tornado is about to hit Smallville. Episode 4.09 - Bound: Chloe and Clark come close to kissing while reenacting Lex's night of passion in the elevator at his hotel for investigative purposes, but are interrupted when the elevator doors open. Screen caps courtesy of acampbell, oxoniensis, and SmallvilleDedication, with my thanks! So, how did you do? Did you have fun? Do you want to do it again next week? Let me know in the comments! And thanks again for playing! ok didn't do so well on this one. Only got about 1/2 right. For some reason I have trouble remembering the episode names. I keep thinking "oh, it's the one where blah, blah, blah." I'll have to study for next time. Yay! Thanks for playing both! You remain my single cross-fandom flister, I think. You're right - it wasn't my fault. I was distracted. 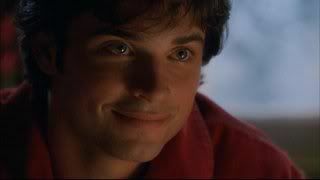 ;-P Clark is the original pretty. In fact, I wasn't a huge Jason fan. But SMV lead me to SPN by accident so now I love them both. I'm an equal opportunity ogler! 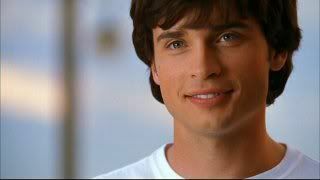 Oh, and I put up the new Smallville '08 calendar last night and my roommate was all "OMG! He's so beautiful" when she got home. I love the January picture. It's one of the more mature Clark photos. Very pretty. OMG, I bought that calendar months ago, and totally forgot about it! LOL! Now I just have to remember where I could have put it. Sheesh. Of course! *slaps forehead* How could've I forgotten that!